Home/aerial video, drone filming, Wedding, Wedding Advice/Wedding Aerial Videography | Should you get it at your wedding? Aerial videography at weddings has become a pretty big deal. Lots of different companies are starting to offer aerial videography. There is no doubt that some of the images you can achieve with drones at weddings are outstanding. Often the venues of stunning and the wedding venue of your dreams, the weather is (usually) good, and there are lots of beautiful people ready to have their picture taken. There are aerial videographers, and they are good aerial videographers. Take your time looking through your videographer’s work to see how creative they are with their aerial shots, how well frames the picture is, has it been colour graded well? These are all things you can establish before getting involved with your aerial videography. Drones cause noise. There is no getting around it. We have attended weddings as guests where videographers have had drones whizzing around above everyone’s heads during the ceremony, and rest assured it gets loud! They can be a disruption, so be clear with your videographer about when and where they will be using it. Not every venue likes people flying drones around. With a bit of prior preparation, venues are usually very approachable about using drones at their venue. Make sure that either you, or your videographer, makes contact before your big day to get the appropriate permissions. Make sure you have communicated with your videographer about whose job this is prior to the wedding. It is often received better when it comes straight from the brides and grooms. Another thing you need to keep an eye on is the weather. If you have bad weather at your wedding, then it is likely you will not get the drone off the ground. This could include rain (obviously), but even high winds can cause a major issue for aerial pilots. The craft used are often nimble and light, and don’t handle high winds particularly well! Geography is also another big deal. There are many areas in the UK which are designated no fly zones. This means that it would be illegal to fly in these areas. Examples can include the obvious, like next to an airport, but can also include less obvious things, like if there is a hot air balloon display, or RAF base nearby. The very first thing to check is that your videographer is licensed with the appropriate authorities. In the UK, every single person who intends to use drones for commercial use, ie wants to use them in some way that they gain profit, needs to have a CAA license. You would be AMAZED and how many videographers out there are using drones at weddings that are not licensed with the CAA. They may have been using them for years, they may have outstanding drone shots in every video they create. However, this doesn’t mean they are licensed. Drop your videographer an email and ask to see their CAA license. If they have one I can guarantee you they will have no problem locating it and showing it to you. Moreover, aerial pilots are also mandated to have valid aerial insurance. This again should be something that your videographer should be able to show you. This is a separate insurance from the camera or public liability insurance that they may have. In the video below, you can see aerial videography being used in a spectacular fashion. I have spent years practising in composition, and flying techniques, to be able to use the drones we have effectively and efficiently. I like to think that I produce outstanding aerial work that adds dimension to your wedding films. I am not sticking it up in the air for the sake of it. There is always a purpose. In the examples below, I have tried to use aerial film subtly and to the benefit of the story. The shots establish the setting, adding to couple shoots or adding that wow factor that can only be achieved by aerial shots. The shots are often short and the aerial shots are not overused throughout the film, only a certain points where it works with the music or scene. What equipment will the be using? The daddy of them all, the Inspire is a beast! Weighing in at nearly 10kg, it’s a big old bird that can carry some pretty serious machinery. The camera attached to the inspire is by far the best camera that you can get within this range, and the images it produces are second to none. The downside to an Inspire is that it is heavy, which reduces flight time, it is large, so hard to transport efficiently and it is loud! Producing roughly 80Db of noise when it is in flight, it’s roughly as loud as a telephone ringing. The Phantom is mid range drone. 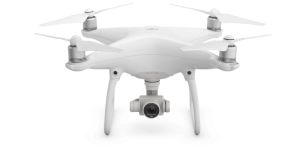 It has a very good sensor and lense on the drone, and is another excellent option for a videographer. It’s fairly portable, but still needs it’s own bag to be carried around. The latest Phantom craft produces 76Db of noise, which of course is less than the inspire. 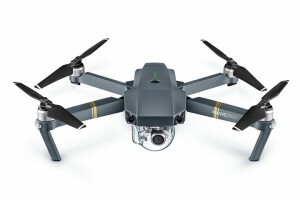 The Mavic is the smallest drone currently produced by DJI that can still capture 4k (The DJI Spark is the smallest but can only capture 1080). The Mavic is a marvel of engineering, folding up to the size of a water bottle, it can fit into any camera bag. 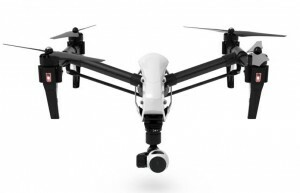 Once unfolded, it packs a powerful 4k camera, various stabilization equipment and has a flight time of 25 minutes. It’s truly an amazing machine for a wedding videographer. Moreover, the Mavic is roughly 50% quieter than the DJI Phantom. Each drone has its own purpose. Here at Mills Films we are lucky enough to have all three at our disposal. When choosing your aerial videographer have a chat about what drone they use and how they will use it at your wedding. Ultimately, this question can only be answered by you. Are you bothered about having the big establishing shots of your venue? There are certainly pros and cons of having aerial videography. Have a look around our site, watch our films with aerial videography in them and decide for yourself whether you would like to include it in your own films. If you have any questions at all, just drop as an email and we can talk anything through with you!